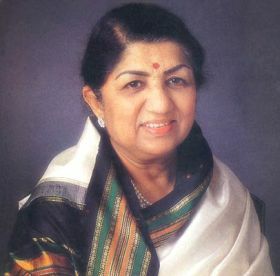 Here is a list of Gujarati movie songs by Lata Mangeshkar (external links no longer available now). i appreciate your devotion for this great work………. I really like gujarai collection. good job !!! album by venus all songs are gems if you have this album plz. share with us. Nice gujarati songs by lata.thanks for this collection.keep it up. Karan ke Atyarna English jamanama gujarati songs sambhlanara bahu j occha che..
please also good sons of gujarati movie Satyavan Savitri of Lata Mangeshkar.Partucularly vardan songs’ em to javay na ‘. I have not heard since long. it is a beauty of film. If you have this song from Satyavan Savitri Em to Javay Na please mail me. Thanks. what a gr8 work done. I really thankful. please also inform if any other Gujrati superhit songs are downloaded. Plz. I want pooja na fool movie songs. Jaldi upload karjo. Plz. 1 mehndi te vavi malve………..
2 pandadu lilo ne ran rato…………….. I am desperately looking for song “Em to javay naa” vardan song from Satyavan savitri by Lata Mangeshkar.Why is this song nowhere to be found.? thanx men i really needed these songs for my teacher!!!!!!! But I an not gating it Please some one send me.